*New Inbound Vehicle! * The all-new 2019 Volvo S60 is the sport sedan that rewrites the driving story. Effortless performance meets intuitive technology, while a sophisticated chassis balances comfort and control. 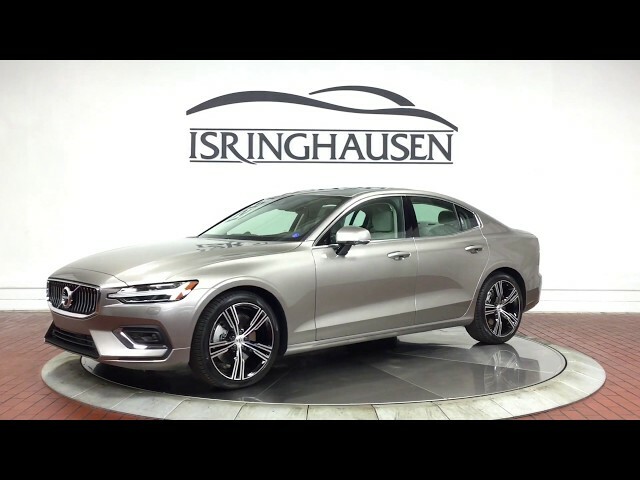 For more information on this well equipped 2019 S60 Inscription in Pebble Grey Metallic and all of our new inbound S60 inventory built right here in America, please contact a Volvo sales specialist today at 877-362-9715. Isringhausen Imports is Central Illinois' premier new car, used car and certified pre-owned (CPO) dealership for quality BMW, Porsche, Volvo and Mercedes-Benz vehicles. At Isringhausen Imports, we have become a leader in the industry by working each day towards the greater good of our customers, our fellow employees, and our community.